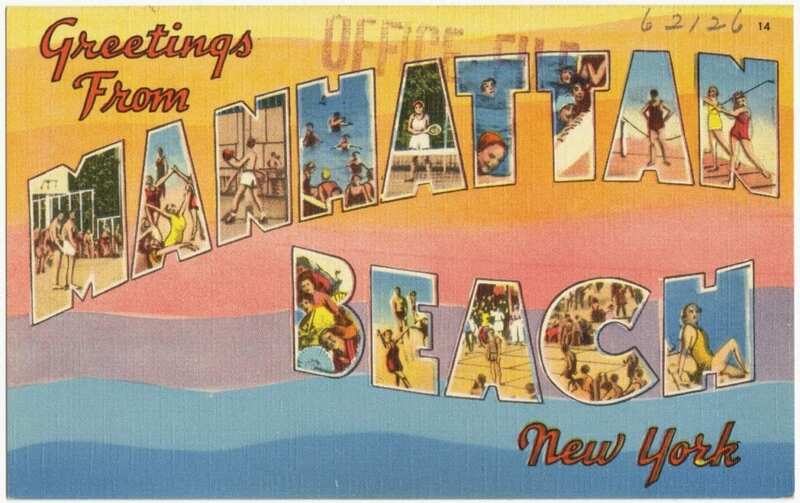 Manhattan Beach was the most upscale of three major resort areas developed at Coney Island shortly after the American Civil War, the other two areas being West Brighton and Brighton Beach. 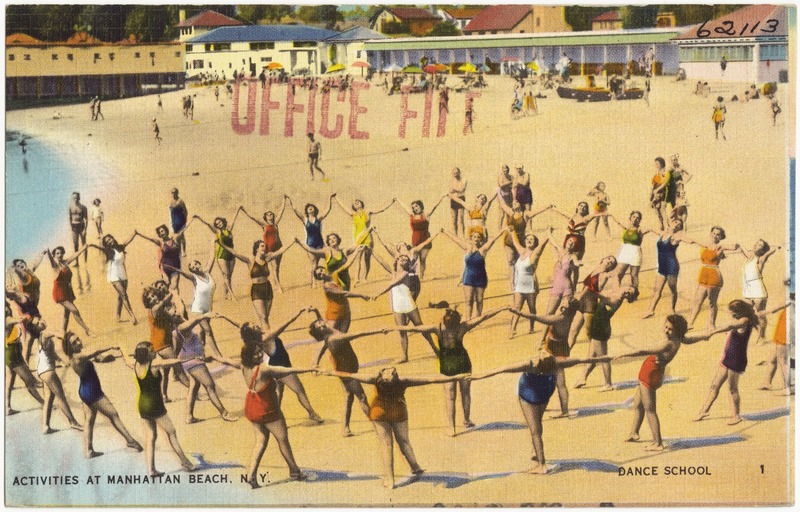 Hotels near Manhattan Beach regularly hosted concerts by famous conductors and elaborate nightly fireworks displays, drawing tens of thousands of visitors on summer nights and making Manhattan Beach a renowned summer seaside resort. 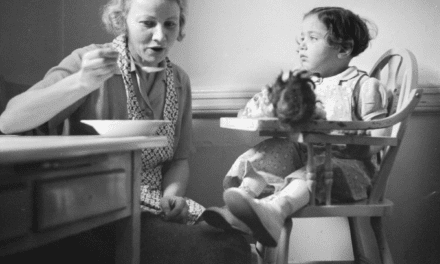 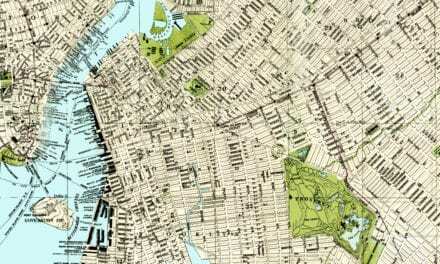 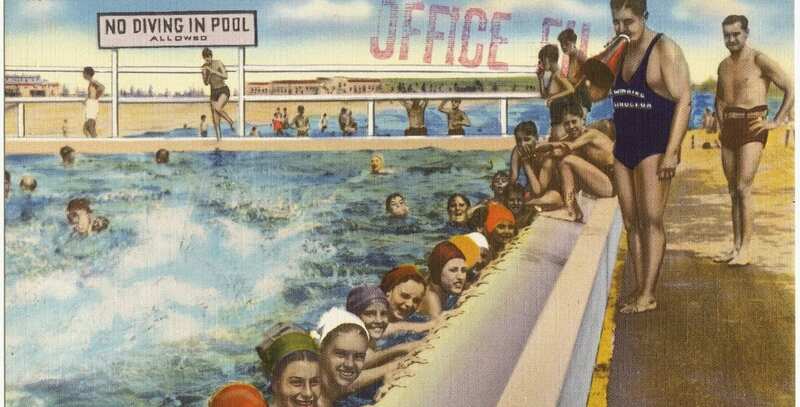 The following pictures show Manhattan Beach, NY as it looked from 1930–1945. 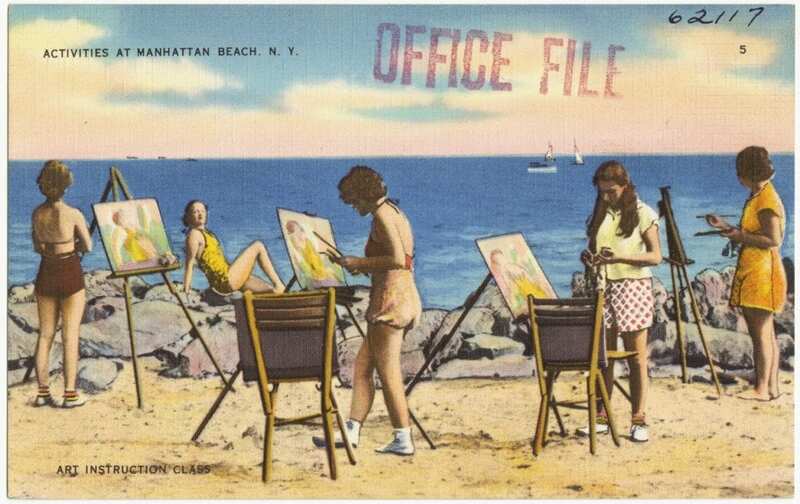 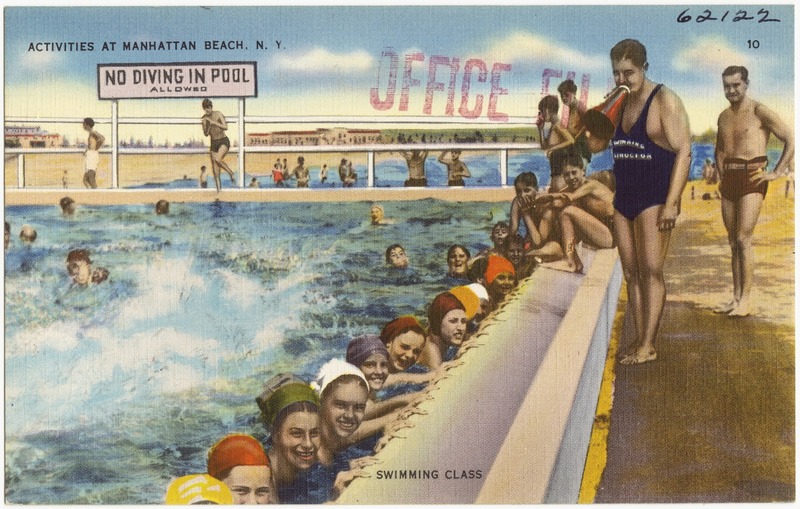 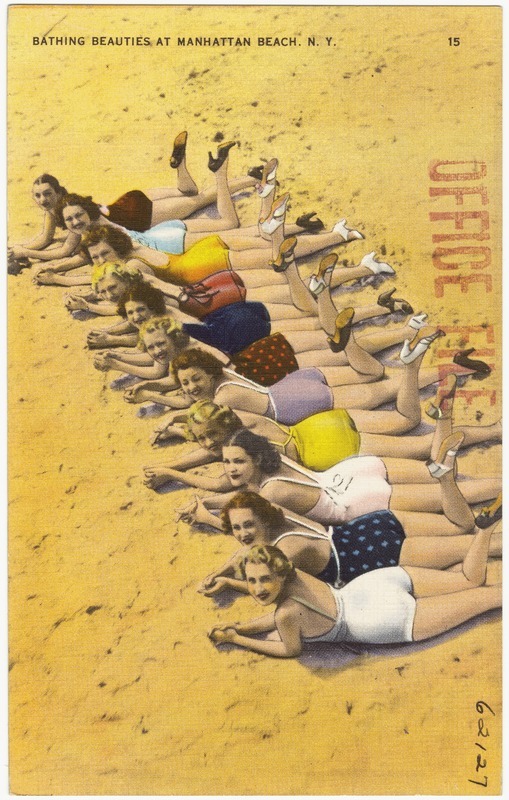 Bathing beauties at Manhattan Beach, N. Y. 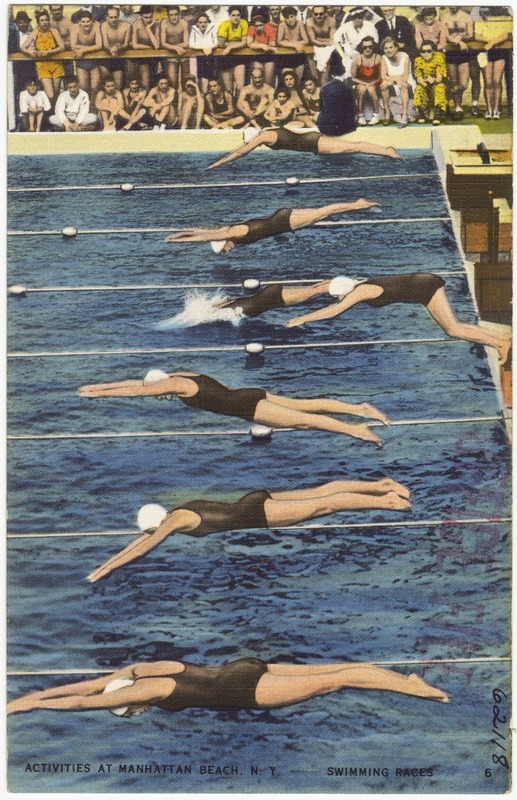 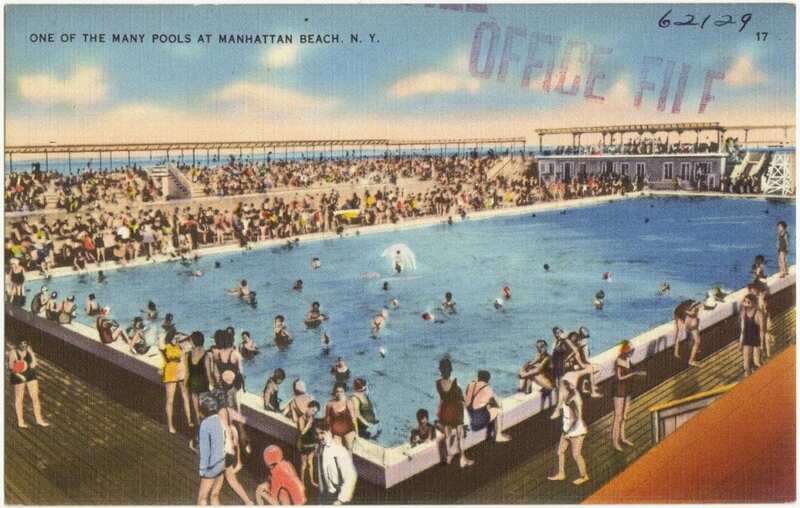 One of the many pools at Manhattan Beach, N. Y. 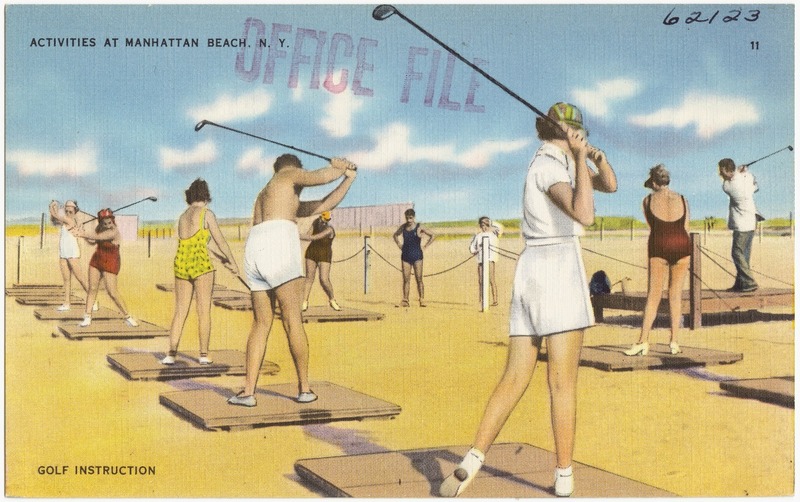 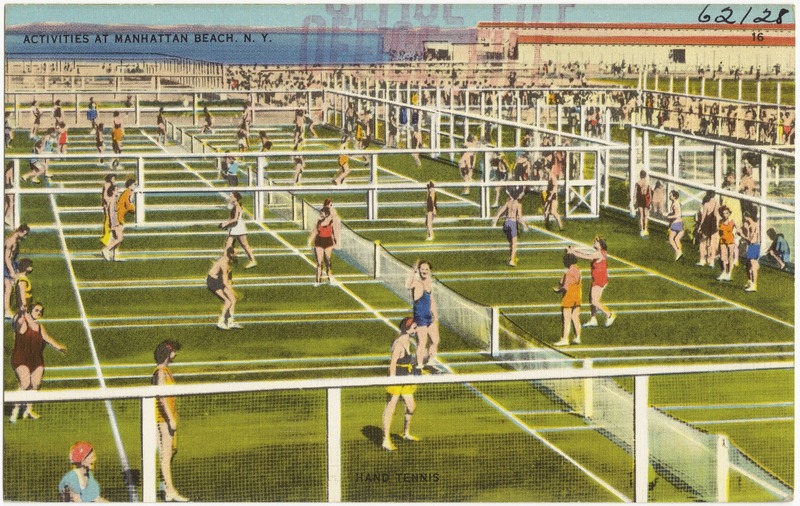 After the deterioration of the hotel industry in the area, the site of the former Manhattan Beach hotel was developed into a residential area and into Manhattan Beach Park by the New York City Parks Department. 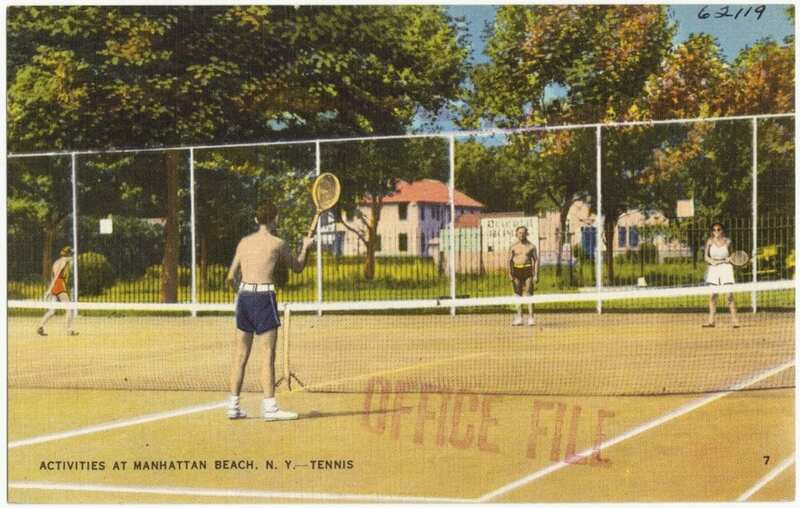 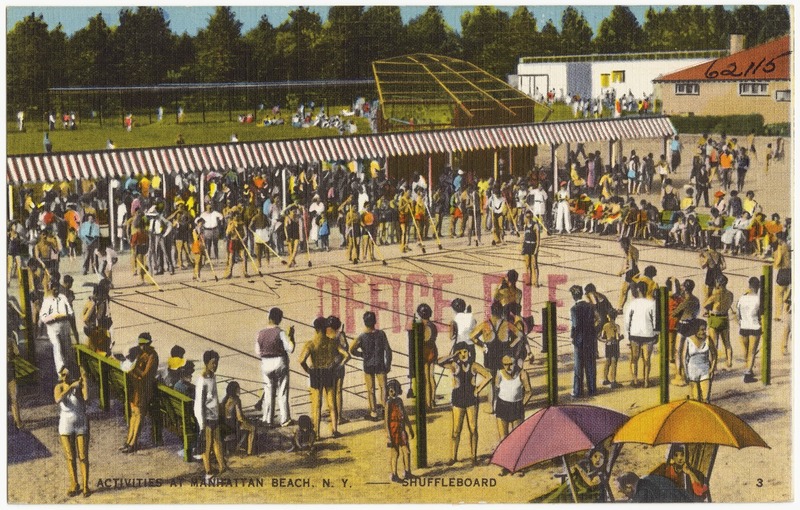 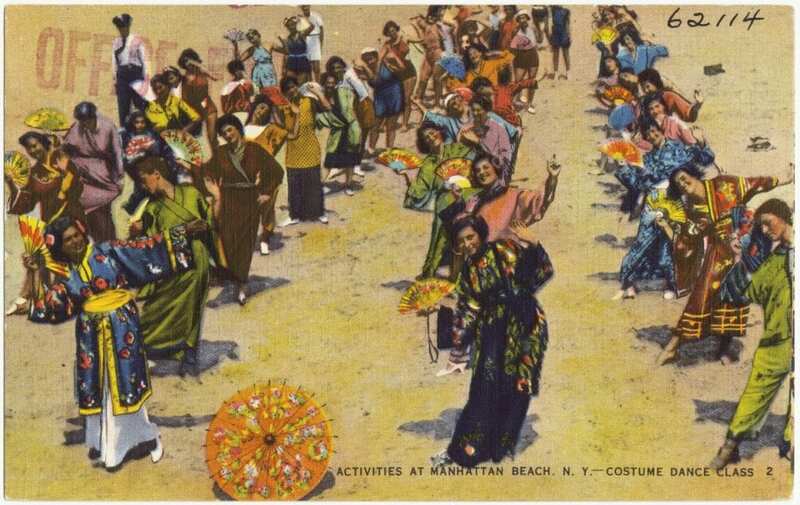 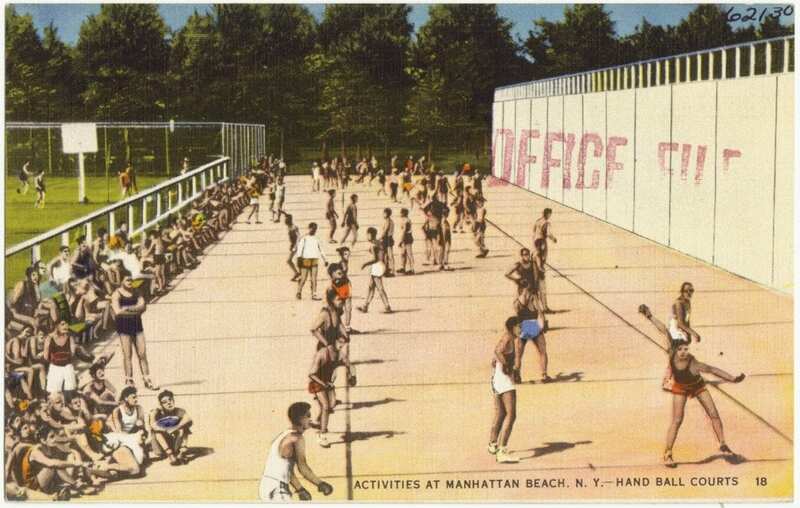 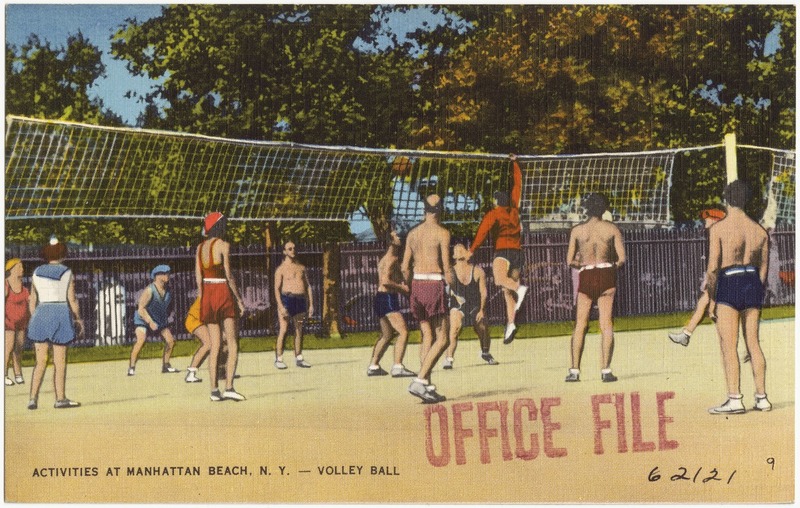 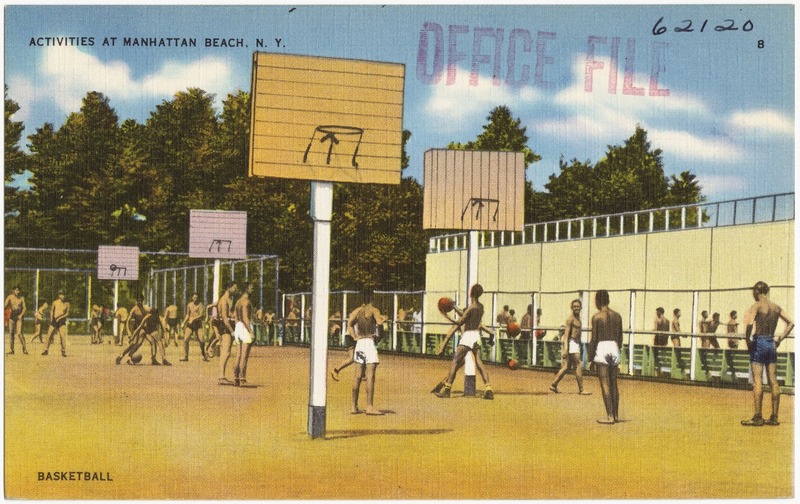 Manhattan Beach Park opened to the public in 1955 to alleviate crowding at the neighboring beaches of Coney Island and Brighton Beach and continues to serve the public today. 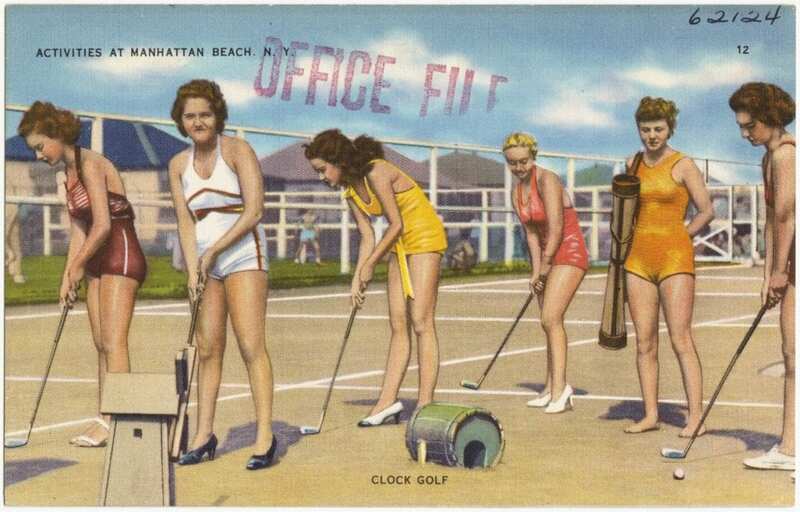 Share with friends using buttons below!